Gather round everyone! Today I want to share with you a cautionary tale. 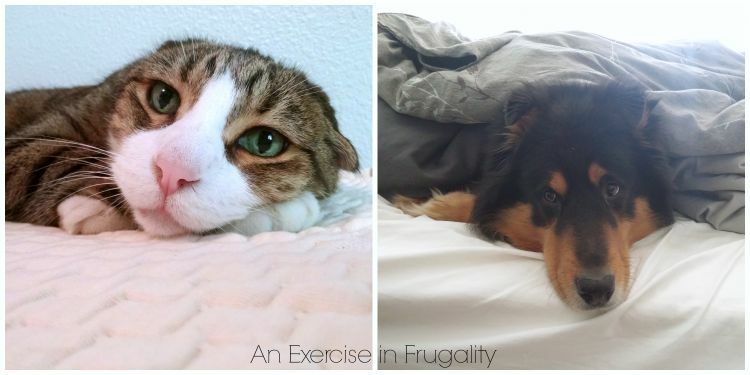 A tale about how sometimes being “too frugal” can come back to bite you. 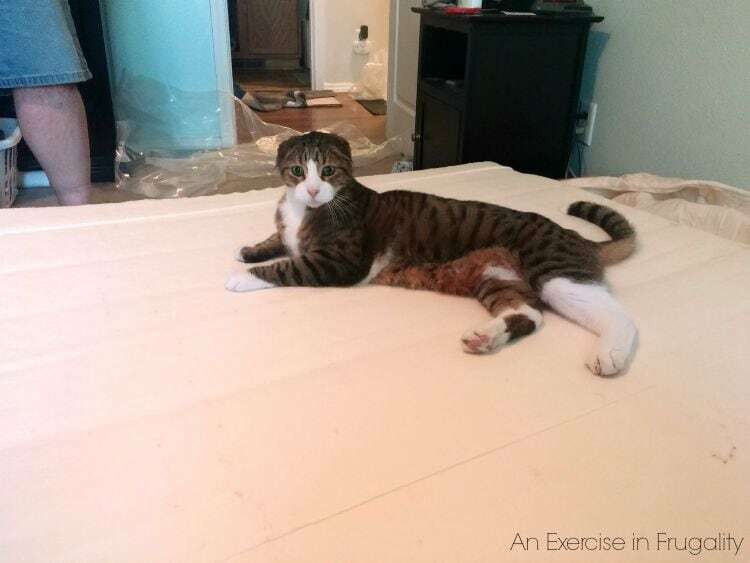 This is the story of our mattress, and why it only lasted about 2 years. When my now husband and I first moved in together, we of course, did not have a lot of money. My hand-me-down mattress was in deplorable condition, and his “bed” was a mattress on the floor (isn’t bachelor life grand?). I needed a new bed in a hurry, and couldn’t afford to spend a lot. I went into the cheapest mattress store I could find, immediately found the cheapest bed they sold, and bought it. A few hundred dollars out of my pocket and I thought I was so smart. Who needed to spend a thousand or more on a mattress? You just sleep on it! How bad could it be? So bad. For the first couple months, it was ok. But because it was a pillow top mattress, I couldn’t flip it. My husband is a weird creature who sleeps in the exact same position EVERY NIGHT. This quickly led to a crater in our bed, which we lovingly referred to as “the dent” where his hip caused the springs to give way underneath his weight. The dent was so pronounced our cat used to curl up in it to sleep during the day! Speaking of weight…did you know the average mattress can only withstand about 400lbs of weight? 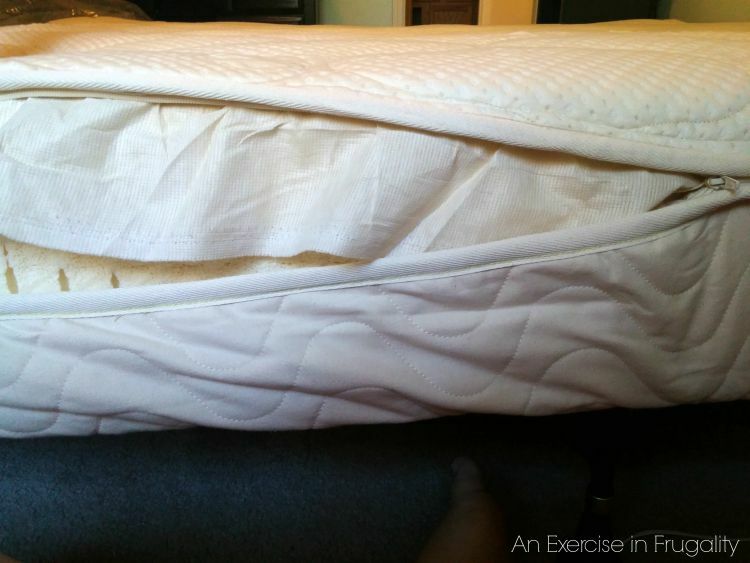 Considering the size of many adults (myself and my husband included) its not hard to see that lots of folks might be putting extra weight (and therefore shortening the lifespan of their mattress). So there we were. Realizing that while we did get 4 years out of our mattress, the fact is it really should have been replaced 2 years ago. Its been causing my husband significant back pain, and mine wasn’t so hot either. This time around, purchasing a mattress had to be different. We wanted one that was flip-able and rotate-able so that it would wear more evenly. We also knew we were NOT going to buy the cheapest, crappiest mattress around this time. We wanted more for our investment BUT we didn’t want to pay ridiculous marked up prices for “luxury” mattresses. Bottom line: we wanted a good deal on a QUALITY mattress. I started researching mattress stores in my area. There are literally thousands, but quickly they all started to look the same. I started searching online to see if I could find more options, and that’s when I found Spindle Mattresses. The mattresses were great quality, priced lower than the ones I was finding in our local stores. There’s gotta be a catch right? So I contacted them, and they were so confident in their product, they were willing to send me one of their mattresses to review. Right away I knew this company was passionate about their business! 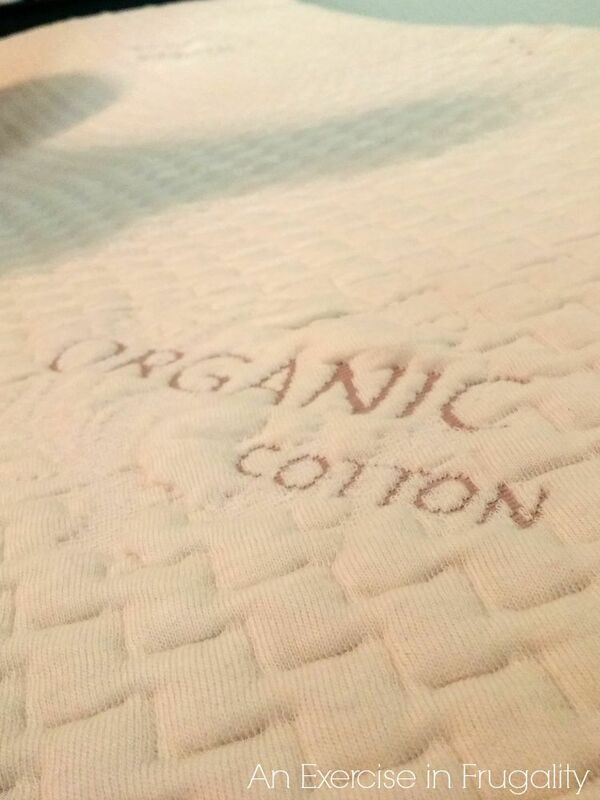 You can rotate the individual layers of your mattress, ensuring the most even wear-extending the life dramatically. You save a lot because you do the simple “assembly” yourself. We got our mattress unboxed and put together in less than an hour. Well worth it considering this mattress is just as good of quality as the $4000-$5000 mattresses in the retail stores, but only costs a fraction of that! 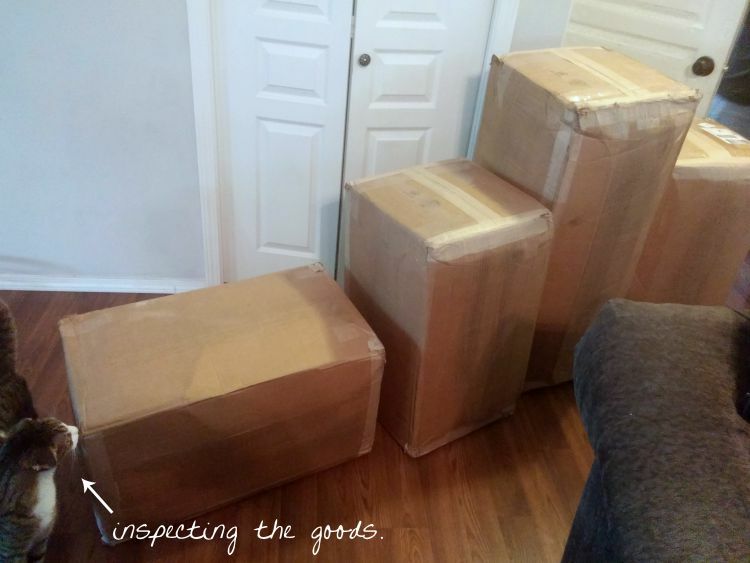 The fact that they sell direct to you (not to a middle man who marks up the price) and you assemble yourself really makes a HUGE dent in the price…not to be confused with the huge dent in our old mattress…but I digress. Their mattresses are made of 3 layers of foam. 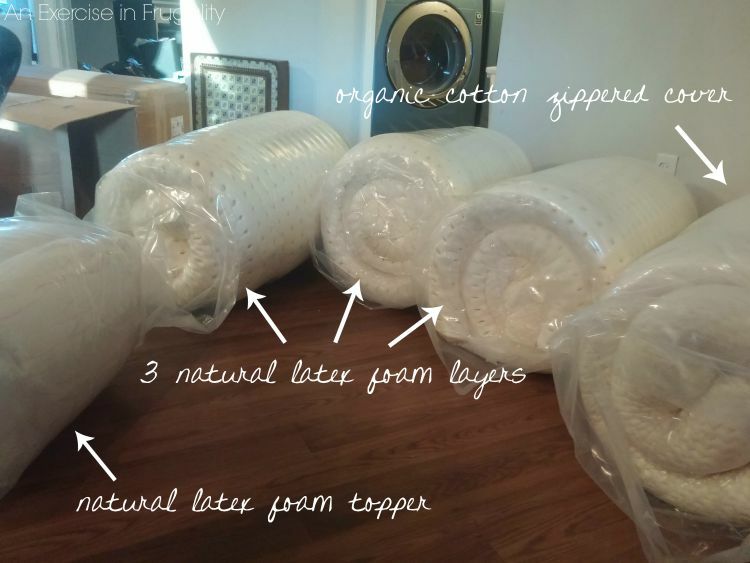 Each layer can be customized to different densities so you get the perfect mattress every time. They talked to me about what I wanted, and helped me customize a mattress made JUST FOR US. And did I mention the case is 100% organic cotton, and the latex foam layers are natural latex? NO weird chemical smells like all the other latex mattresses out there. This is our cat Loki who couldn’t wait for us to finish assembling. Cats are VERY sensitive to smells, so you can see there was zero off-gassing of any kind. We’ve been sleeping on our Spindle Mattress for about a month now, and we are really pleased. It took a few nights to get used to sleeping on a good, firm mattress after sleeping on our mushy one for so long, but now its heavenly. The natural latex doesn’t hold in heat like the fake stuff, so its always the perfect temperature. With its 25 year warranty, we know that we won’t be needing to replace it in 2 years like our old one. Is it scary getting a mattress you haven’t tried in store? Not with their guidance and experience. Plus, if you’re not fully satisfied, they offer a 365 day comfort adjustment where you can swap out layers for a small fee. According to their year long study though, only about 13% of folks felt the need to adjust their layers! Don’t decide “I’m going to go mattress shopping today!” and then come home with a mattress. It’s not a roll of toilet paper or a bunch of bananas. This thing will be the key to your well-being for years to come. Research the company, their track record and their manufacturing process. Pillowtops might sound nice, but since you can’t flip them, they wear out MUCH faster than a conventional mattress. If you need that extra layer of cushiness, spend the extra on a topper. Its cheaper to buy a new topper when it wears out than it is to buy a whole new mattress. In the coming months, I am going to be building a bed frame with headboard. It’s a Pottery Barn inspired bed which I am also very excited to share with you! Maybe even a budget bedroom makeover? I’ll update you on how our Spindle is holding up in a couple months. Till then, I definitely suggest checking them out. If you live in the Boston area, you can check out their showroom and give the mattresses a feel for yourself! What do you think of the Spindle Mattress? 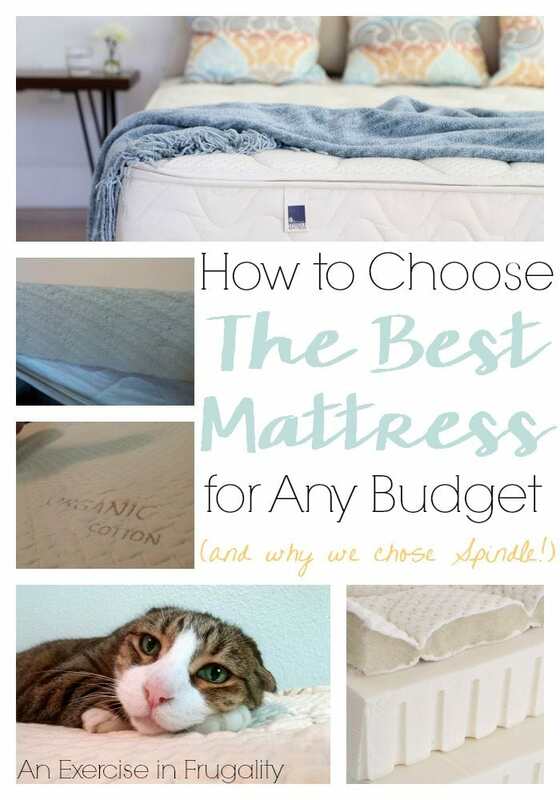 These are some great tips, and I appreciate your advice to take your time and do research before buying a mattress. 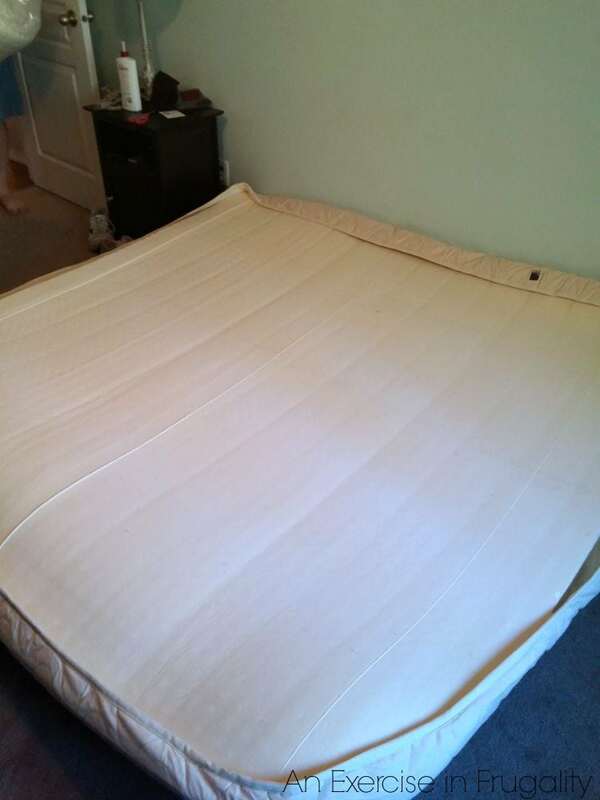 I’ve been having some problems sleeping at night, and I think it’s because my mattress is getting really old and worn, so I want to get a new one. I’ll definitely make sure to take my time and do some research before I make a decision. Thanks for the great post!